April 8th is a date to mark in the diary for boxing fans for two reasons. Firstly, a cracking show in Swindon that is headlined by Ryan Martin vs Michael McKinson for the WBC Youth welterweight title and features the names of Luke Watkins, Sam Smith, David Bailey and Harry Webb on the undercard, all local to the Wiltshire town. Secondly, it marks the start of what could be a significant change in boxing management as the show is the first put on by Trifecta, the organisation setup with Paddy Fitzpatrick alongside the aforementioned Martin, Watkins and Smith. The aura of Watkins is always someone of a relaxed nature. Outside the ring Watkins is as laid back as they come. 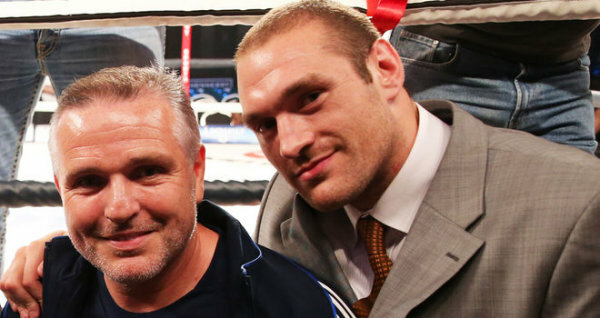 Once when fighting at York Hall, when he had weighed in I asked his Trainer (Paddy Fitzpatrick) where Luke was. “He’s gone for a sleep in the car” was the response. 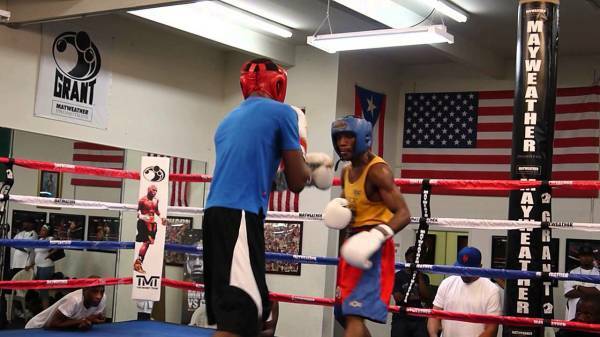 For Watkins, the pressure and the stress of fight night are taken in his considerable stride. At six foot one, he is imposing in the ring, his toned physique starting now to be reflected in the stoppages of opponents. His style is a mirror of his persona outside the ring; relaxed, taking his time to figure an opponent out before breaking them down. As he approaches now his 10th fight, he is competing in his first ten round bout. His ability to conserve energy through a relaxed style should suit the extended time in the ring. 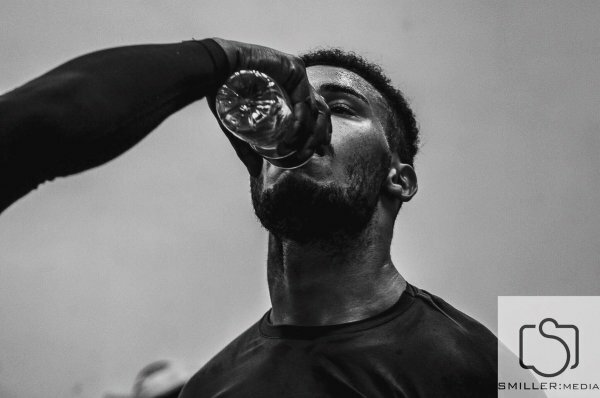 Are there any worries for Watkins as he approaches the longer bout? “As far as I’m concerned I have done it in the gym, my body is physically able to do it. If for whatever reason I wasn’t able to do the ten rounds it would be a mental block. I have belief in myself, I believe I’m more than able to do the ten rounds on the night” Watkins tell me. 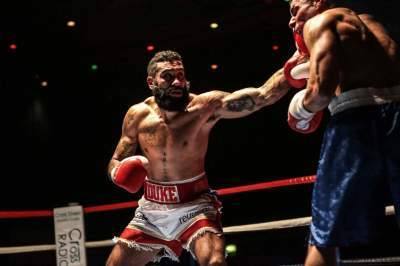 Fitzpatrick has been working feverishly in the background to finalise an opponent, a task that has become trickier as Watkins has worked his way through the cruiserweight division. An opponent has been found on the day we speak, but the planning will take place over the weekend ahead. “The level of fighters naturally gets harder when you start going for fights with longer rounds. They’re more durable, tougher and more experienced. It’s another step up, plus a few extra round; we’re moving the right direction in what we’re doing” he says. Watkins is reluctant to look past April 8th, however ahead of this date there is the opportunity of his first title in boxing. In April he will get the opportunity to go back to his roots and fight for the Irish cruiserweight title. 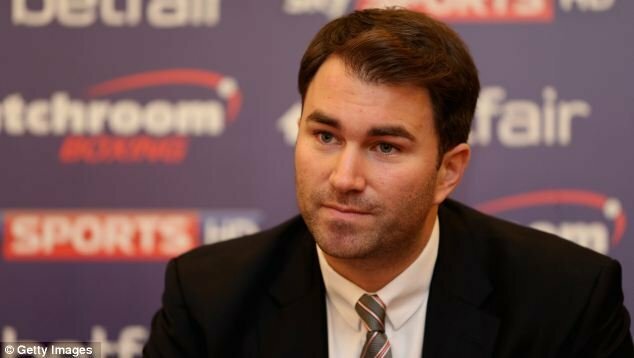 I ask Watkins if the fight in April will provide a good opportunity to prepare for his first belt fight. Hopefully some of the opportunities will take place in his home town of Swindon, following on from the April 8th showdown. After a show in the town fell through in 2016, he tells me that he is looking forward to being back on home soil. The buzz is back around Swindon as a fight town. Trifecta as a concept will be played out in front of the eyes of the town’s fans. They are expected to fill the Oasis Leisure Centre on April 8th as a new era is upon them. Watkins aims to play a big part within this. 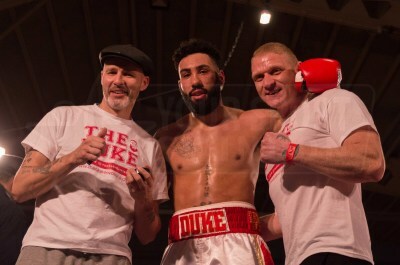 With his own plans laid out through to 2018 and a business venture to match, the boxing supporters of Swindon can watch The Duke flourish in his home town. Luke wished to thank the sponsors who play a vital role in supporting his career. These are Reuben Inspired, Jazzbones Creative, N&B Foods Exeter, Marlborough Fitness & Performance Centre and Abbeymove Removals.